Tesla is now discounting new Model 3 cars. 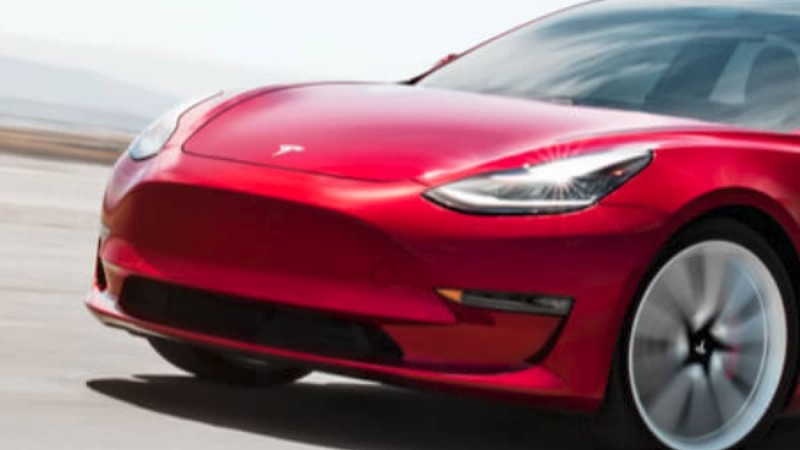 We were contacted by a Tesla sales associate from Tesla in our local area who offered a blue Long Range AWD Model 3 that is new with zero miles and was never a demonstration or test drive car with a $2,330 price discount. Its discounted price, including the $1,200 delivery fee was $ 48,870 if we accepted the deal before April 1st. The Tesla sales associate also confirmed that there were zero Standard Range Model 3 cars available at this time. Online forums are also abuzz with the discounts now being offered on a wide range of Model 3 trim offerings that these buyers reportedly enjoyed discounts on. This is in direct contrast to Elon Musk's edict that no new Tesla be discounted. "There can never -- and I mean never -- be a discount on a new car coming out of the factory in pristine condition," Elon Musk wrote to employees in 2016. "This is why I always pay full price when I buy a car and the same applies to my family friends, celebrities, no matter how famous or influential." Following this edict, Elon Musk himself accepted the first production Model 3 at no charge as a gift from a fellow Tesla board member. Apparently, his rules do not apply to himself when it comes to new Tesla cars. Musk clarified in a letter to employees that discounting on display models and those used as test-drive vehicles is allowable. However, he clarified that the no discount policy on new and unused vehicles was "...fundamental to our (Tesla's) integrity." Those floor model deals have resulted in discounts of up to $30,000 on other Tesla models according to Tesla-advocacy publication Elektrek. Facebook has a "Tesla Showroom Deals" club with 3,300 members. We have not visited the club and are not members, but it is worth checking out if you are shopping. This week, after the self-set lead time came and went for the new "$35,00" Model 3, which actually costs $36,200, those Tesla buyers who bit the bait and had placed their order were besieged by multiple up-sell calls, e-mails, and texts. Tesla was trying desperately to switch them to the "SR+" trim level which has a cost about $2,500 higher than the Standard Range Model which Tesla sells for $36,200. Some buyers have reported that included in those switch pitches were offers of discounts of hundreds of dollars. One new owner reports being offered $500 off the price and accepting the switch to the SR+. Multiple media outlets have detailed Tesla's so-called "Bait and Switch" tactics. Other owners are reporting much larger discounts on in-stock Model 3 cars with higher price tags. Some are into the thousands for cars that had only single-digit miles on the odometer. Additional past incentives include referral discounts and temporary free Supercharger use. A perq that Elon Musk originally told Tesla fans all would enjoy for free forever. We would suggest trying hard to negotiate and if you are successful, share your experience here in our comments, or on whichever Tesla club you are active in. 1) We wish to make clear that Torque News did not reach out to Tesla for the information in this story. Rather, amazingly, Tesla called us. We are on Tesla's list for test drives and additional information and Tesla's sales department phoned the author today at 4 pm. 2) Out of respect for the groups who post these discounts, we have not included direct quotations. However, if you are already a member of a Tesla fan site online finding these discussions takes under one minute.